What should we do in LA? We're thrilled you're coming to join us in Los Angeles for our wedding. Many of you have never, or rarely, been to the great City of Angels and may need some guidance on what all to see. Hopefully this little guide can get you started! Definitely one of our most iconic spots! See the ocean, the Santa Monica Pier, and the end of Route 66 all in one stop. 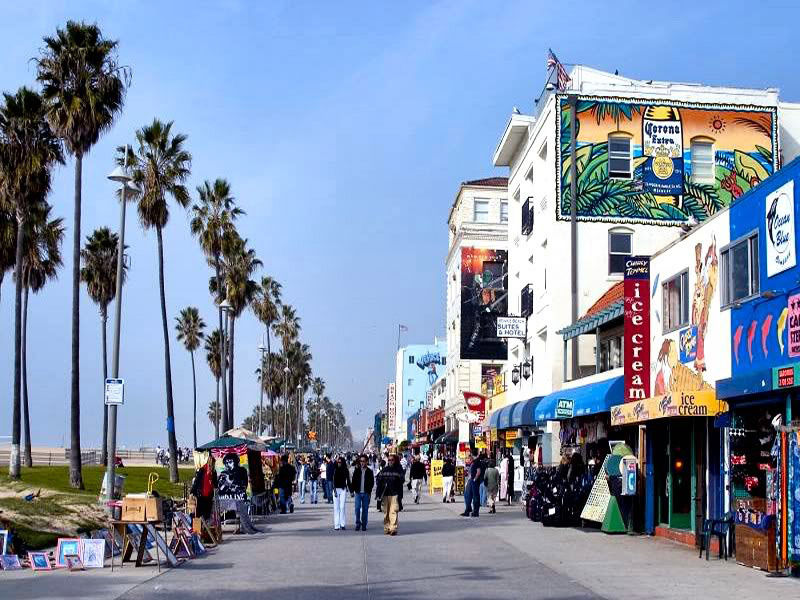 Santa Monica also has great shopping and strolling and our favorite restaurant in town, Cha Cha Chicken (a Carribean style restaurant). Venice Beach is the shady cousin of Santa Monica. Home to Muscle Beach and the Venice Boardwalk. Definitely good people watching. Just up The Pacific Coast Highway is Malibu. There's no real attractions here, just really beautiful mountains and beaches. We definitely recommend seeing El Matador Beach (pictured here). This is also about 500 yards from where Brad proposed to Erin. Venice, SM, and Malibu can all be seen in the same afternoon. Drive through the iconic palm-lined streets and shop on Rodeo Drive. Have some fro-yo. Drink a venti mocha latte. When you hear "Hollywood" you probably think of movie studios and Beverly Hills. The actual city of Hollywood is defenitely not all glitz and glam, but the block at Hollywood and Highland is probably a must see if you've never been. This is the home of the stars on the walk of fame, and the handprints from that last 80 years at Grauman's Chinese Theatre. This is also where Jimmy Kimmel films his show. The Griffith Observatory sits at the top of Griffith Park. From here you can see the entire city, all the way from downtown to the beach. It's one of the better views of the Hollywood sign and is a popular film location.... oh, and it's completely free! Make sure you check the hours before you go though as it's not open before noon on weekdays. Really want to be an Angeleno? Go for a hike. Apparently that's all anyone does. Runyon Canyon is the most popular. It has pretty stellar views but can be very crowded. Also good hikes at Griffith Park, and our personal favorite (though less of a city view and pretty tough) Fryman Canyon. Starting the day of our wedding, the Dodgers have the next week of home games. This one is really cool. Down at The Science Center (for pretty cheap) you can get right up to, and touch, the Space Shuttle Endeavor. This photo doesn't do it justice. This is also right next to the natural history museum (which has some amazing dinosaurs), the colosseum, and USC.